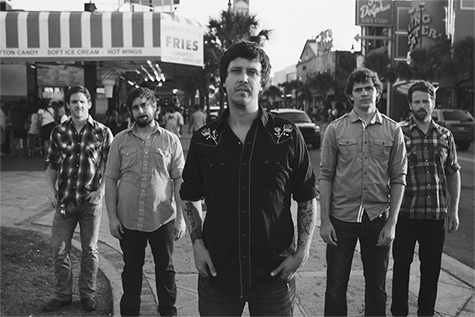 Alt-country music fans, if you’ve not heard American Aquarium yet, you ought to. 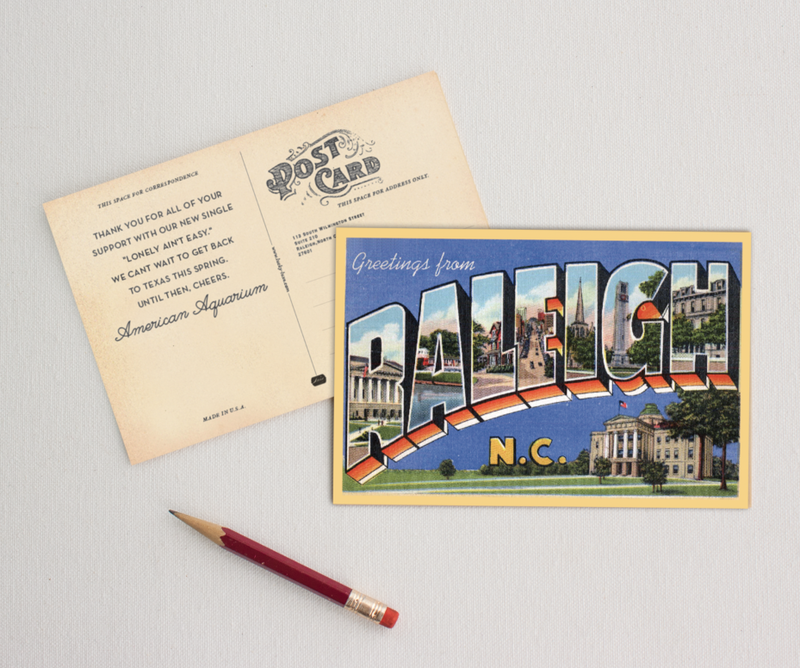 We had the great pleasure of throwing together some new ‘thank you’ stationery for the band that pays homage to their beloved hometown, Raleigh.  They’ll be sending our Souvenir Destination postcards to all the radio stations that are showing them love and playing their new single, Lonely Ain’t Easy. If you like Ryan Adams, Drive-By Truckers and the like, go ahead and look them up on iTunes. Their new album, Burn.Flicker.Die. is wonderful, but I haven’t stopped listening to their 2009 album Dances for the Lonely yet. Every single song. So dang good.